Lieutenant General Sir Simon Vincent Mayall KBE, CB (born 7 March 1956) is a retired British Army officer and a Middle East Adviser at the Ministry of Defence. 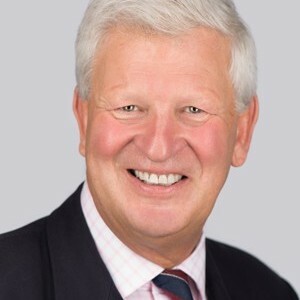 Sir Simon joined joined Greenhill & Co., an investment bank, as a senior advisor in 2015 after a long and distinguished military career with the British Army which began in 1978. Over the course of his Army career, Sir Simon held a series of increasingly senior roles including Commanding Officer, 1st The Queen’s Dragoon Guards from 1997-1999, Commander, 1st Mechanised Brigade from 2001-2003 and Deputy Commanding General for Multi-national Corps (Iraq) from 2006-2007. Most recently, he served as Deputy Chief of Defence Staff (Operations) from 2009-2011, Defence Senior Adviser (Middle East) from 2011-2014 and as the Prime Minister’s Security Envoy to Iraq from 2014-2015. Using his long and deep experience with senior leadership across the Middle East, Sir Simon focuses on providing advice on strategic corporate matters in the region. Sir Simon holds an MA in Modern History from Oxford University and an MA in International Relations from King’s College London.